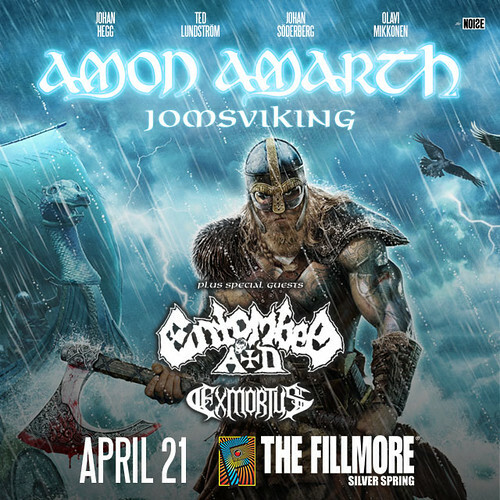 Amon Amarth is bringing their warship to the Fillmore Silver Spring on Thursday, April 21st of 2016! Since we want to get as many of you viking metal fans out to this one as possible we’ll be giving away a free pair of tickets to this very show! To enter: just leave a comment on this post telling me what your favorite Swedish metal band is. At 5pm EST on Friday, April 15th, 2016, the contest will end I’ll pick a winner at random (using Random.org) from all valid entries to win the tickets. Be sure to use a valid email you check regularly so I can contact you if you win. Don’t worry, I won’t add you to any spam lists or sell your info or anything sleazy like that. If I haven’t heard back from the winner in 24 hours another winner will be chosen at random. If you can’t wait to see if you win or the contest is already over when you read this, then you can get tickets from Live Nation for just $27.50 here. Amon Amarth are a Swedish band know for their brutal yet catchy death metal songs about viking history and lore. They always put on a highly entertaining show and with their latest album, Jomsviking, just released last month we’ll be getting to hear some new songs too! Also on board are fellow Swedes Entombed A.D. who are basically the remnants of Entombed but had to add the A.D. since there’s a legal dispute over the name. 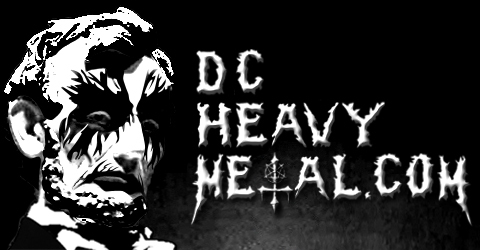 Regardless they’re still going to bring that death n’ roll they’re so famous for. The opener is Exmortus, a melodic death/thrash band from California that’s up and coming right now. Be sure to check out these videos of all three bands below and then leave a comment telling me who your favorite band from Sweden is! At the Gates will be my number one for a long time comin’. Can it be anything but Meshuggah ? Opeth, can’t beat the melody.